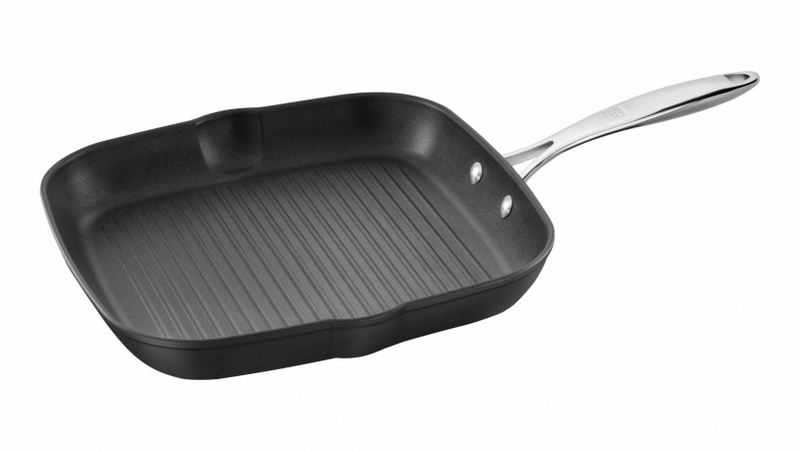 The non-stick grill pan ZWILLING Forte does not fail when it comes to perfectly roasted dishes. Since the solid aluminium core directs heat particularly evenly to any point in the pan, you can get a perfect cook on your ingredients. To prevent burning, this frying pan is sealed with Ti-X non-stick coating. The coating is applied via a special process and the additional titanium layer makes the pan far superior to the standard non-stick coating trays. It is suitable for all heat sources including induction hobs and you can even use metal cookware with this grill pan.